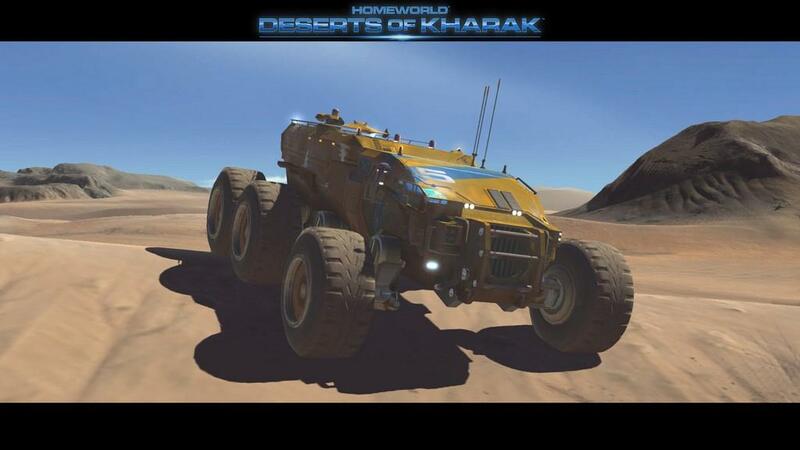 Set as a prequel to the other Homeworld games, Deserts of Kharak takes players on a journey of both discovery and survival across endless desert dunes. Developer Blackbird Interactive has crafted a game that could be described as essentially Battlestar Galactica on a desert planet. Players take part on a Coalition expedition with the massive land carrier Kapisi in hopes of reaching a primary anomaly that could provide an opportunity to live beyond their dying planet. The protagonist that narrates much of the story is chief science officer Rachel S'jet who players also control in-game via her land vehicle that functions as a mobile science station. 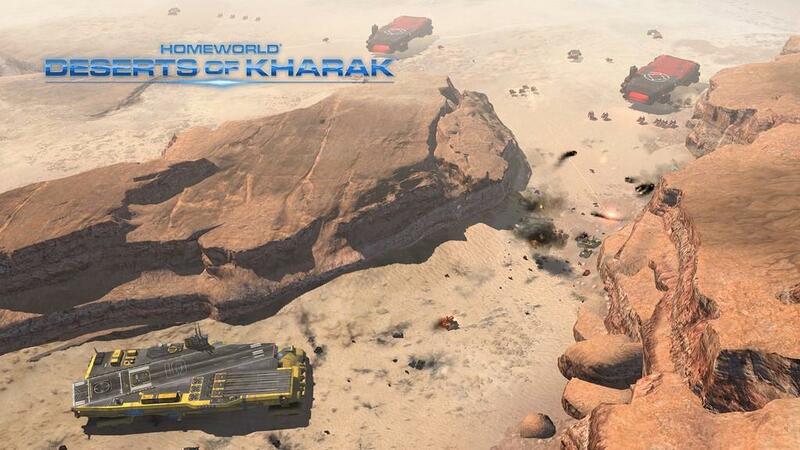 Deserts of Kharak has one of the more interesting narratives that I've seen in a real-time strategy game. Much of that can be contributed to its cinematics that are best described as concept art brought to life through subtle 2D and 3D animation. Combined with believable voice acting performances and a compelling narrative about the will to survive against all odds create for a memorable science fiction experience. The RTS gameplay hits a lot of familiar notes, especially for fans of previous Homeworld games. It mostly follows the Homeworld formula with players operating a primary control ship. That ship is a resource collection point and a vehicle manufacturer. Other small elements, from the minimalist menu icons to the overhead command screen, will make Homeworld veterans feel right at home. Also, units persist between campaign missions. Nothing feels like throwaway unit. Every fleet member feels vital. When units fall in battle, you lose both veteran combat experience and resources. Vehicle types fall in line with the spaceship classes in past games, from small strike craft to large battlecruisers. 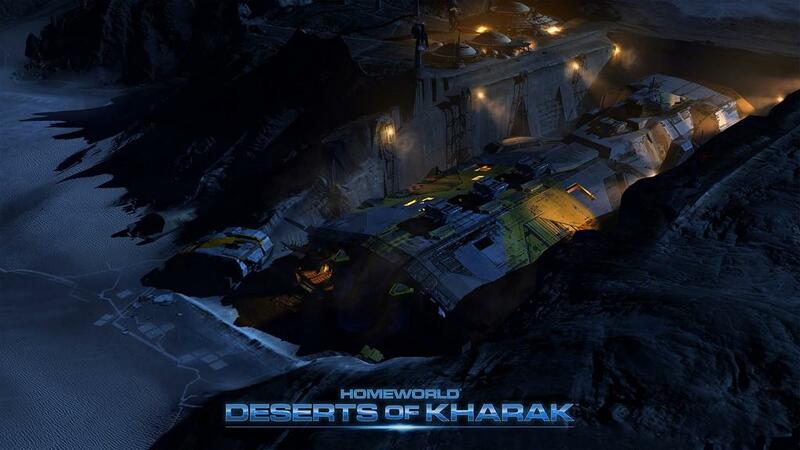 As fans of the series know, scale is a defining element of Homeworld. Likewise, vehicle sizes and how they relate to one another on the battlefield is crucial in Deserts of Kharak. The most significant change, of course, is that players no longer have a 3D space in which to operate. The desert planet of Kharak is on a 2D plane. The shift to land-based combat worried me, considering the series' foundation. After playing through the campaign, however, I'll say that the shift paid off. It's a refreshing change from space combat, but feels familiar enough to justify the Homeworld name. While many of the smaller strike vehicles jump over or quickly drive around dunes, large cruiser vehicles move slower through the sand. This creates new strategy scenarios not seen in past Homeworlds. Vehicle positioning is especially important as line of sight between dunes can be a deciding factor when avoiding or engaging enemies. The larger vehicles' slower speeds make them vulnerable to missile barrages, while smaller vehicles are vulnerable to environmental hazards such as sand tornadoes. Speaking of those vehicles brings up one of my gripes: There's not enough unit variety compared to previous Homeworld games. While their visual style is, without a doubt, in keeping with Homeworld, units look too similar to one another. In large groups it's difficult to differentiate them. Even the battlecruisers pale in comparison to the scale of previous Homeworlds. They seem more like just-slightly-larger vehicles compared to the others. My other gripe is that the campaign only took me seven hours on my first playthrough. My comparison to Battlestar Galactica is most fitting here, as I felt the game shared many similarities with its story of survival and expedition. With the short game length, however, the expedition often felt rushed and many of those discovery and survival elements seem like lost opportunities. The beautiful and unfortunately brief cinematics felt like teasers to something much more grand. I had to fill in my own story gaps. This is a difficult gripe to describe because it's also a testament to the production values and how well the developers did at creating a compelling premise—that simply ended too soon for my liking. That complaint might have been easier to ignore, but at a $50 retail price at launch, it ties directly into the overall value. Despite the short single-player campaign, players also have multiplayer and skirmish modes that both contain a variety of modes and maps. Campaign length aside, one thing I can't fault the game for is production quality. Original music performed by an orchestra, ambient radio chatter, stunning map design, and highly detailed units are just a few things that come to mind. It's clear that the developers, some of them having worked on the original Homeworld games, have a dedication to creating a compelling and memorable game world. One might think that all desert locations look the same, but the variety of maps is astounding. Each of the desert environments is crafted in a way in that they never felt like the fake game maps of other real-time strategy games. 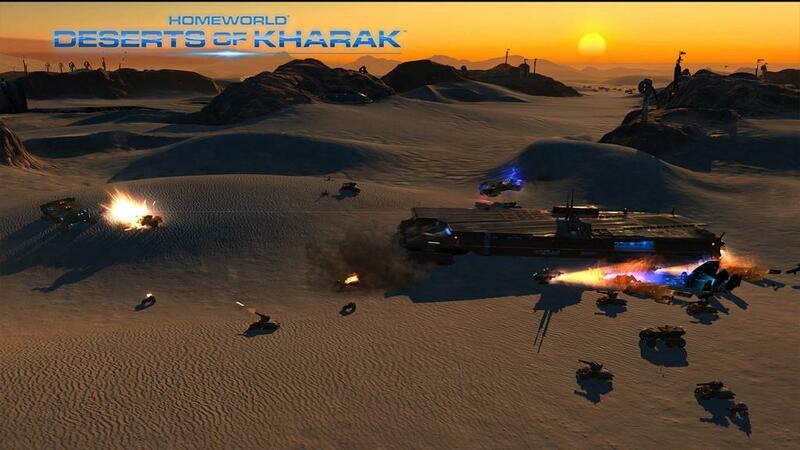 Kharak feels lived-in. The ambient radio chatter between units brought me instantly back to the Homeworld universe. In past games, radio chatter between units was a small, signature element that would actually increase during battle, which is true for Deserts of Kharak, too. Out of all the most recent RTSs I've played, this is easily the most striking, both in regards to its visual and auditory elements. It's a true stunner at 4K resolution. While the campaign might have been a been a bit brief, I was still invested in its characters and outcome. It's a testament to how much I liked the overall experience in that I wanted a lot more of it when the credits rolled. 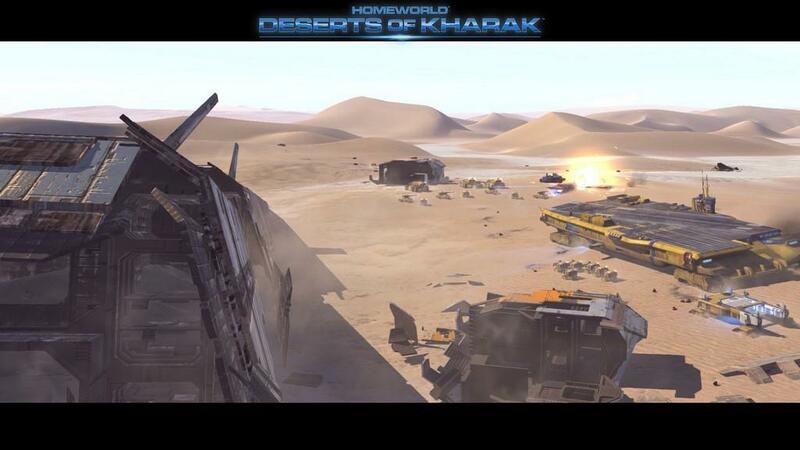 For fans of previous Homeworld games, Deserts of Kharak will feel right at home with its gameplay structure and signature presentation. The biggest deciding factor for potential buyers will be the $50 price tag. Those looking for a great science fiction narrative will find a lot to like. Just be aware that it quickly ends just as you're fully invested in its characters. 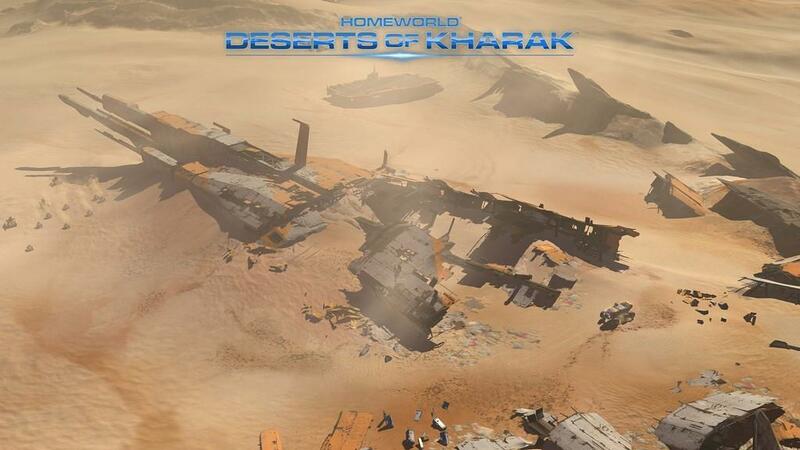 Homeworld: Deserts of Kharak tells one of the better science fiction narratives I've seen in a real-time strategy game. While the campaign is short, I enjoyed most of the Homeworld-inspired gameplay. Skirmish and multiplayer modes beef up the content, but the overall content-to-price ratio doesn't quite even out. 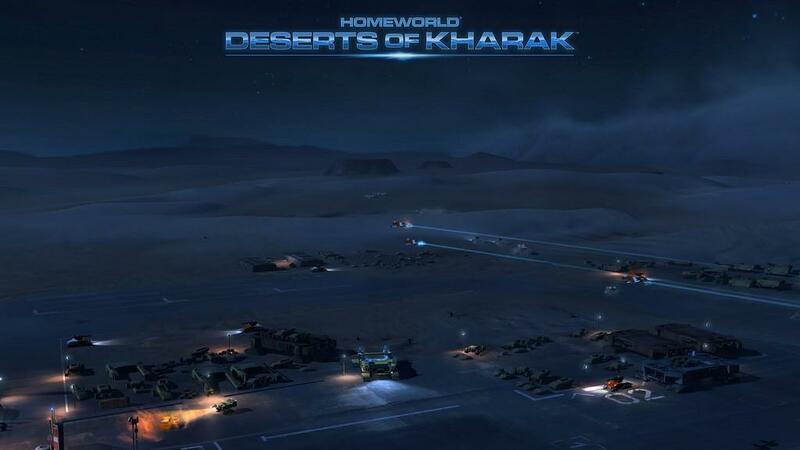 Minor gripes aside, Homeworld: Deserts of Kharak is one of the more compelling real-time strategy games I've played in some time.